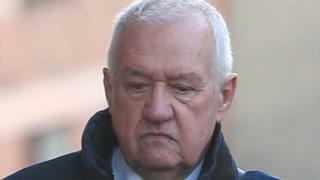 The prosecution of Hillsborough match commander David Duckenfield was “breathtakingly unfair” as he was made to take the blame for others, a jury has heard. Ben Myers QC made the claim in his closing speech at Preston Crown Court in defence of the 74-year-old. 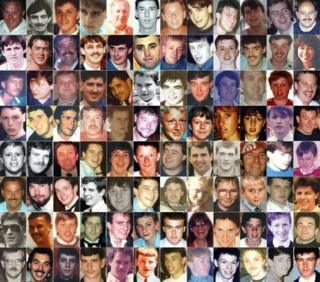 He denies gross negligence manslaughter of 95 Liverpool fans, on 15 April 1989. Mr Myers also said “it must be one of the most heartbreaking cases ever to come before an English court”. He said it was obvious now, but not then, of the dangers of putting large numbers of people in confined spaces in pens. Football was plagued by hooliganism in the 1970s and 1980s and was a “world away” from today’s game, he said. He said it was “humbling” to be addressing the court “because of the scale of the case and the scale of the loss”. The barrister told the jury failings at Hillsborough included faulty police radios, poor signage, a reduction in police manpower and stadium structure – none of which was Mr Duckenfield’s fault. He said his client was an “excellent police officer” who less than three weeks to prepare for the game after being promoted. Mr Myers said the jury was being invited to “give him criminal responsibility for a decade of incompetence on the part of others”. He said the Hillsborough stadium “was potentially lethal” and there had been a “history of near-misses”. “It’s like giving a captain a ship that’s already sinking and judging him on how well he sails it,” Mr Myers added. Mr Myers said it would be “very wrong indeed” to convict Mr Duckenfield “as a way of expressing” sympathy over what happened. Mr Myers also said it was “utterly wrong and deeply unfair” that the jury was shown video footage of the disaster by the prosecution. On Thursday, prosecutor Richard Matthews QC said Mr Duckenfield had “ultimate responsibility” and should have made “lifesaving decisions”. Former Sheffield Wednesday club secretary Graham Mackrell, 69, denies failing to discharge a duty under the Health and Safety Act.